Following terrific rises after the 2008/09 financial crisis, the share prices of UK housebuilders beat a retreat in 2018. They’ve rallied pretty strongly in recent weeks, but are still well below their highs of last year. Among the FTSE 100’s big three, Taylor Wimpey (LSE: TW) is further down than Persimmon and Barratt Developments. Moreover, it’s trading on a lower price-to-earnings (P/E) ratio, suggesting it could offer particularly good value. Following terrific rises after the 2008/09 financial crisis, the share prices of UK housebuilders beat a retreat in 2018. They’ve rallied pretty strongly in recent weeks, but are still well below their highs of last year. Among the FTSE 100‘s big three, Taylor Wimpey (LSE: TW) is further down than Persimmon and Barratt Developments. Moreover, it’s trading on a lower price-to-earnings (P/E) ratio, suggesting it could offer particularly good value. There are also a number of housebuilders in the mid-cap FTSE 250 index. One of these — Crest Nicholson (LSE: CRST) — released its annual results this morning. Its share price and P/E are even more depressed than Taylor Wimpey’s. Could it be another bargain builder to snap up today? The table below summarises some key value indicators for the four stocks, based on their 2018 financial results (actual or forecast). As you can see, they’re trading on very low P/Es, with supersize dividend yields. Furthermore, a recent trading update from Taylor Wimpey, and today’s results from Crest Nicholson, paint a reasonably sunny picture. Both companies enjoyed a profitable 2018 and finished the year with net cash on their balance sheets. They also said they’ve strong order books. Both referred to a few clouds in the sky — notably Brexit uncertainty and customer caution in London and the South East. But overall, the impression given was one of maintaining vigilance in the near term and optimism about the longer term. So why are their P/Es so low and dividend yields so high? Furthermore, the US (like the UK) has a good number of listed housebuilders. You’ll find their share prices have performed in much the same way as their UK counterparts. They’re all down from their highs of last year — e.g. PulteGroup (-22%), D. R. Horton (-30%) and Lennar (-38%) — and on very cheap P/Es. Brexit uncertainty? Really? I believe there’s a common issue hitting many housing markets around the world right now. The post-financial-crisis economic crack-cocaine of low interest rates and massive quantitative easing (QE) pumped up asset prices, including property, to unsustainable levels. Time has now been called on QE and interest rates are starting to rise. The risk is that house prices are heading for a crash. In a crash, builders’ earnings (and their share prices) typically collapse, dividends are suspended, and there’s nothing to do but batten down the hatches and wait for a recovery. 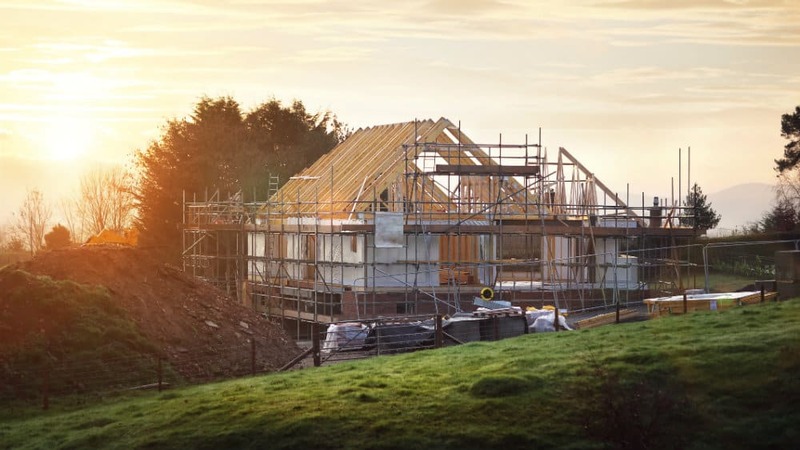 Are the likes of Persimmon, Barratt, Taylor Wimpey and Crest Nicholson merely suffering a Brexit blip, or are we seeing the beginnings of the bust that always follows a housing boom? Personally, I view the risk of the latter as sufficiently serious to avoid these stocks at this stage.